Co-Founder @Nazca Ventures. Co-Founder Palermo Valley. Co-organizer Startup Weekend, Mentor 500 Startups, Startup Chile, IncubaUC. CEO & Founder @bigbang-travel * Industrial Engineer. Founder of Lindsay&Partners * Co-founder of BookingMarkets (B2B), @letmego (B2C), and Localo (B2C). Founder/CEO of @kedzoh. Founder at @1-800-bonbons and @fatdrive. Former CFO and COO. Executive, Advisor and Board Member at early stage companies. Darden Business School @ @university-of-virginia; Strategy & finance. Strong tech and bio bkgrd. Fluent Spanish, basic Mandarin. Worked in Biotech, Tech, Chemicals, Real Estate. Founder of the @techranch. Serial entrepreneur that supports early stage tech entrepreneurs get their businesses launched. President at Digevo Group. 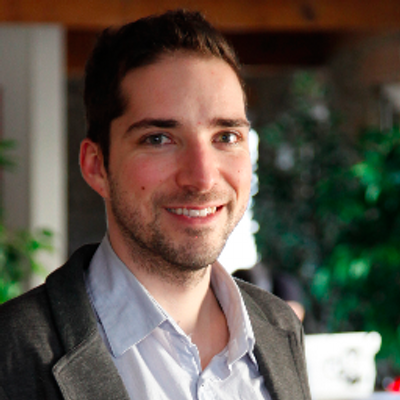 Cofounder of +20 Startups, including STI, sold to Union Fenosa, and AxonAxis, sold to Equifax. Focused in mobile space in Latam. UX/innovation strategist, blogger, co-Founder of @get-on-board and @iguols. Global scholar, fellow, published across 3 continents on a dozen R&D projects. MSc in Artificial Intelligence. Social networking historian and guru. Founder of Puente Pacífico Investment Advisory and Cape Horn Investment Advisory. Author of books on managing investment risk.